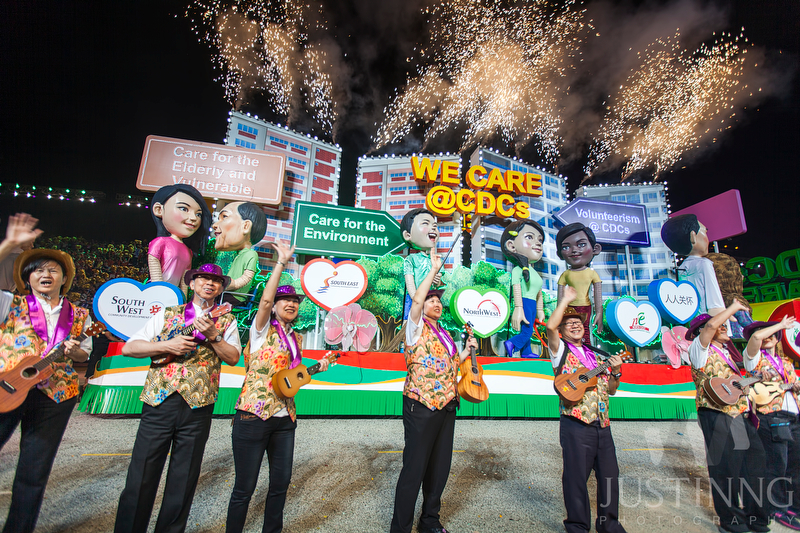 Last January 18, my team was excited to be part of the first Dress Rehearsal for the 2014 Singapore Chingay Parade and I have posted several photos of the event here. 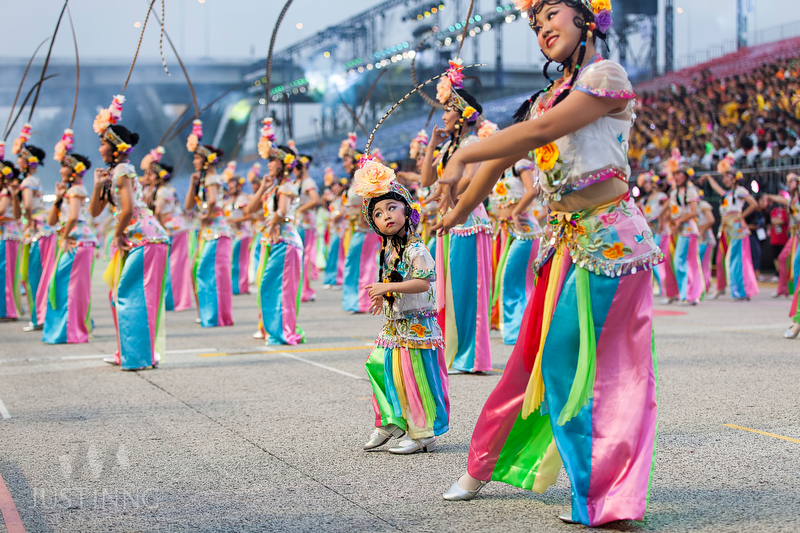 The Singapore Chingay Parade is touted as the Grandest Street Parade in Singapore and this year’s theme is “Colours of Fabric, One People”. 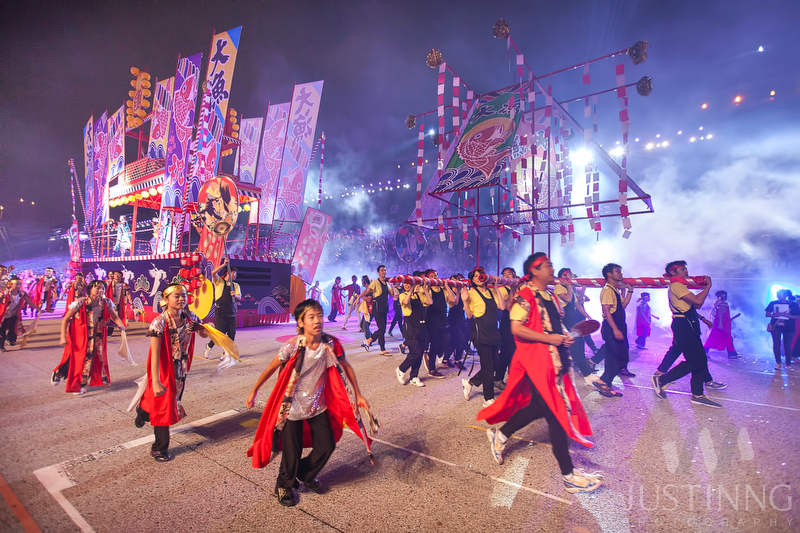 The actual Chingay Parade will be held on February 07 and February 08, 2014 at the F1 Pit Building. 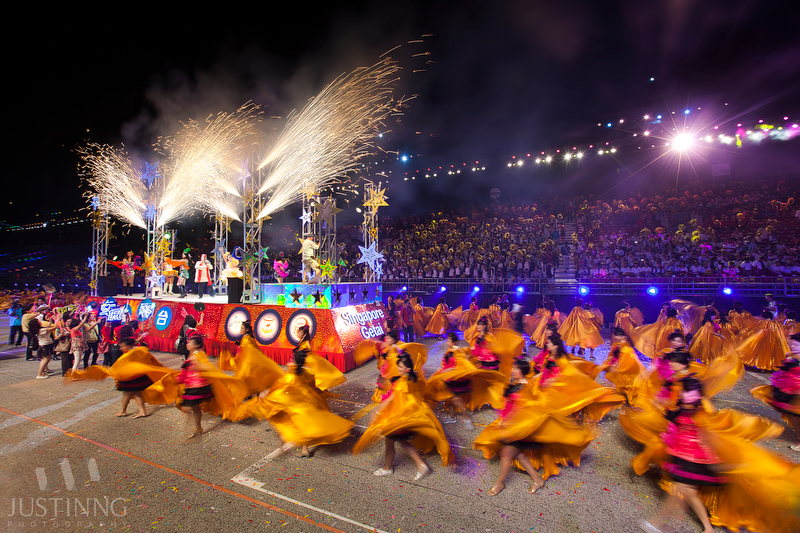 Having covered previous dress rehearsals and the actual Chingay Parade for a number of years, it still gives me unequivocal joy and excitement to be part of the ceremonies year after year. 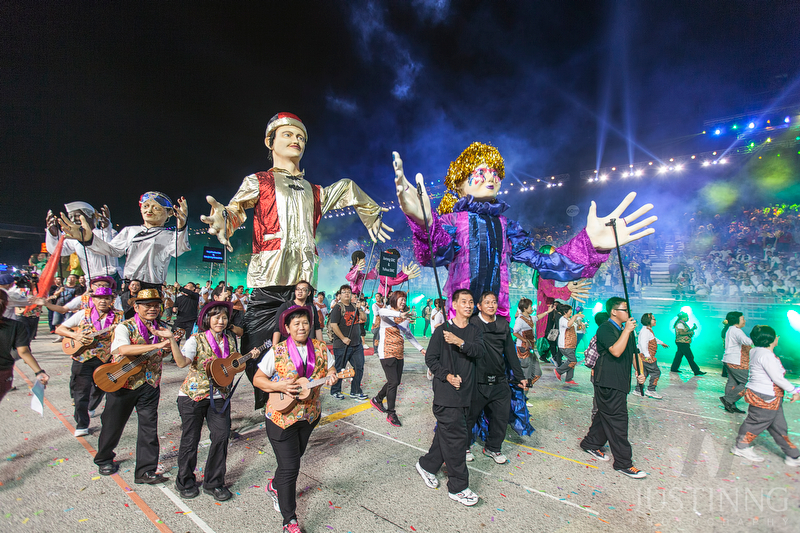 Every year presents a challenge to top off and exceed the previous years’ performance and to be given the opportunity to be up close and personal with the actual performers and performances is a very rare privilege. With no other audience but those invited to view the rehearsals, it allows me (and other photographers) to take pictures of the performers and concentrate on capturing the greatest moments to our heart’s (and cameras’) delight. 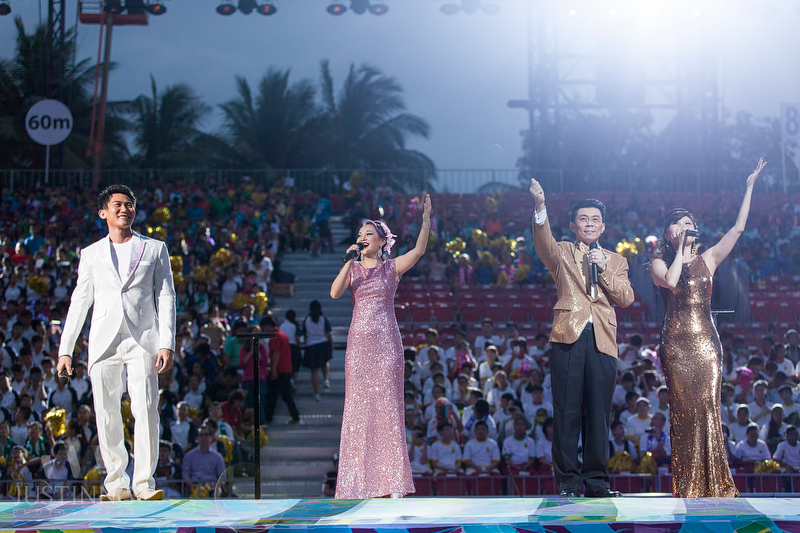 Last January 25, there was a National Education show for the 2014 Singapore Chingay Parade and I was present at that event. How can I best describe the experience of being there? It is exhilarating! – Knowing full well that the actual show will be happening within two weeks’ time, the level of excitement from everyone is contagious. There’s a buzz in the air, with everyone wanting to put all their energy into making the show a success. You feel the thrill and the feeling of anticipation because you’re right in the middle of all the preparations. Colours abound! 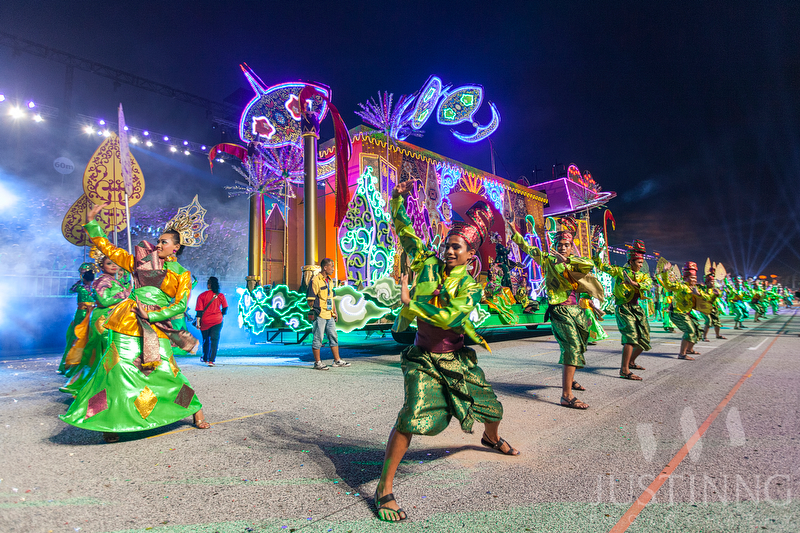 – What makes the Chingay Parade an event to remember is because of the colorful costumes that the performers wear. 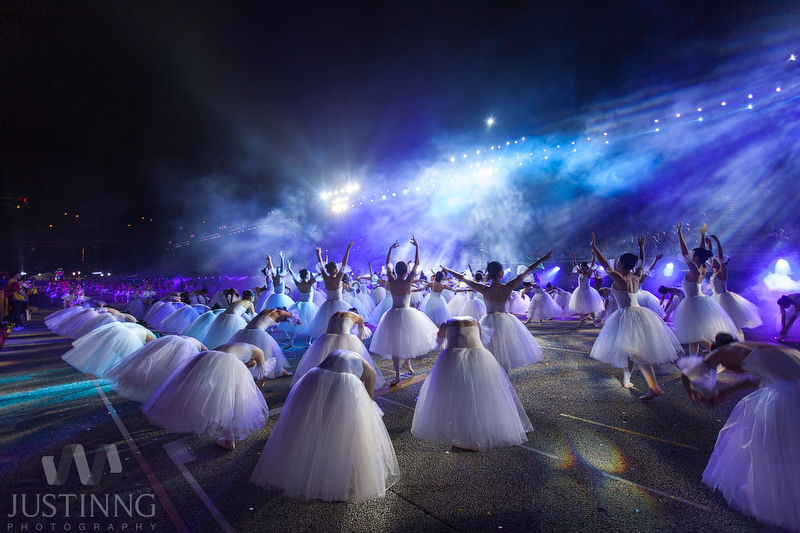 Nothing beats the sight of hundreds, maybe thousands of people all dressed to the hilt to give their best, to impress everyone who has come to the show. 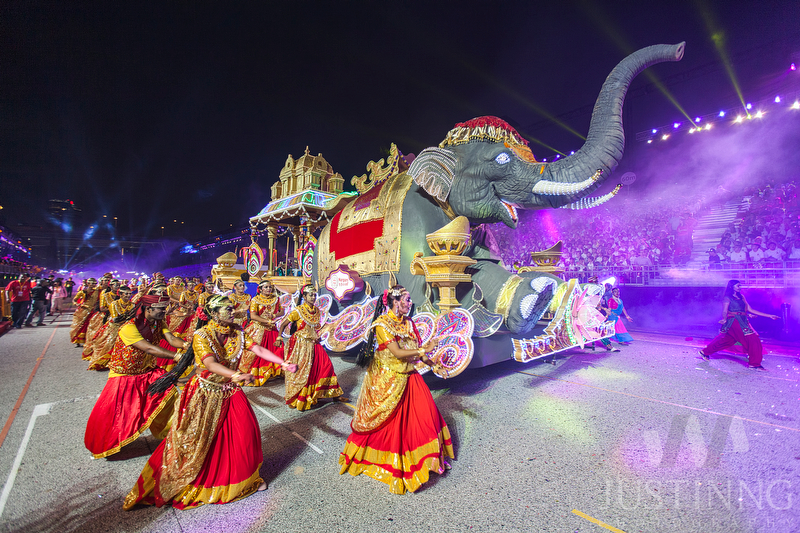 The lights at the venue and even on the floats contribute to the atmosphere making each presentation a sight to behold. 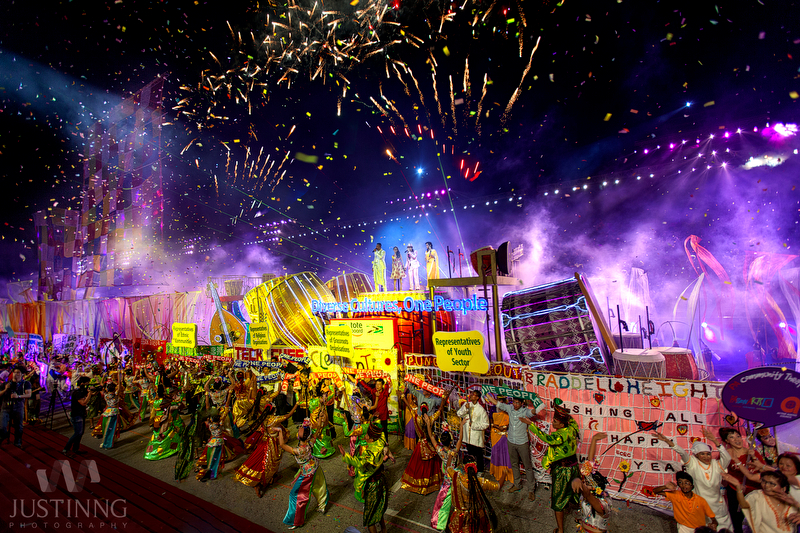 International multi-cultural displays – The Singapore Chingay Parade is now an established multi-cultural presentation of international participants from China, Indonesia, Malaysia, Italy, South Korea and the Philippines. 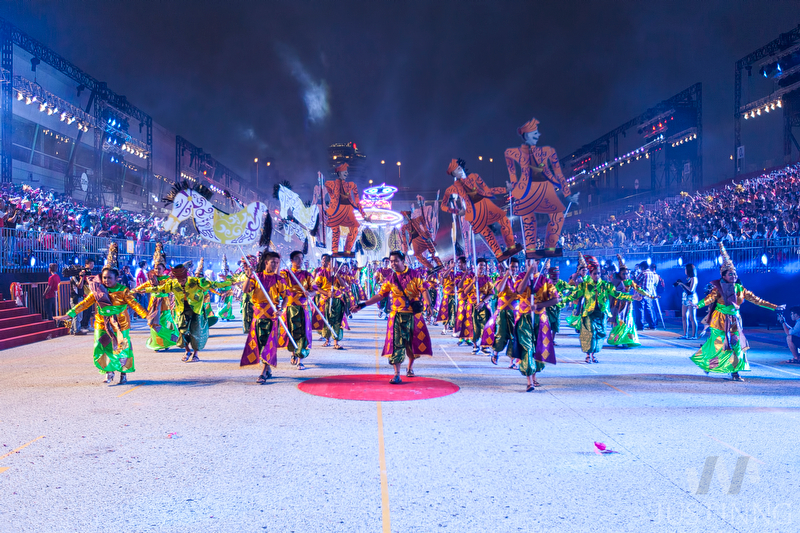 This year, a 360-meter Batik Fabric will flow through the parade together with the international performers to represent this year’s theme of being “One People”. 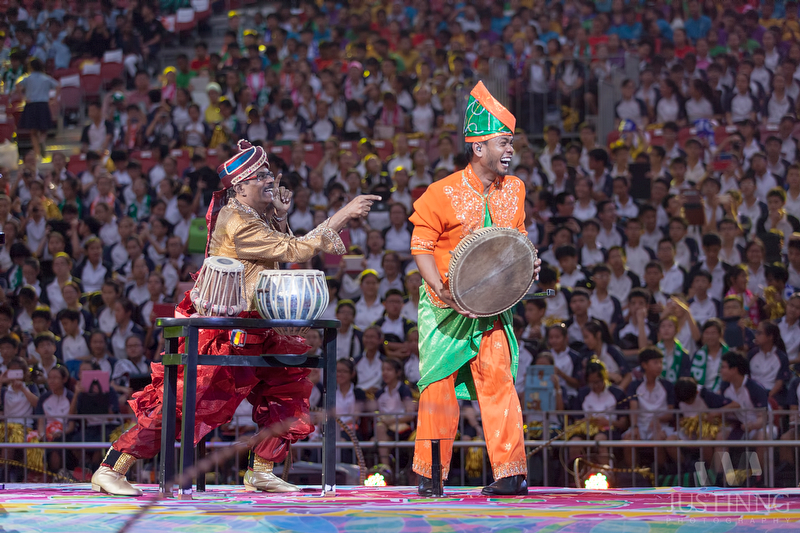 Rhythmic Music – Performances at 2014 Singapore Chingay Parade are mostly accompanied by rhythmic, danceable music and I can’t help but dance to it myself. There’s something hypnotic about watching a thousand dancers sway to live music and I can’t help but be inspired to dance with them. From what I’ve seen from the two full dress rehearsals that I’ve been to, this 2014 Singapore Chingay Festival promises to be the best so far. There are more performers, therefore more acts to watch. 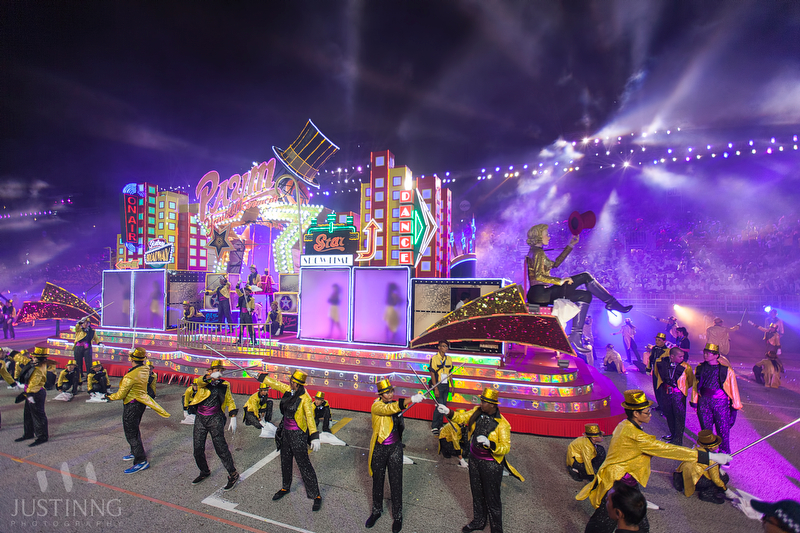 They have really outdone themselves with their costumes, props and floats and to capture them in photographs is probably not enough to contain the vibrancy of the moment. But that’s the challenge of being a photographer and I hope that there are more people who can challenge themselves this way as I have. For more information and for tickets, please visit http://www.sistic.com.sg/events/chingay0214. Here’s some photos I’ve taken during the last performance on 25 Jan 2014.